Halifax, Nova Scotia is the largest city on the eastern coast of Canada. The urban area constitutes the most populous urban area on Canada’s Atlantic coast. It is also the second largest coastal population centre in the country after Vancouver. It boasts a rich history and many Canadian landmarks such as Peggy’s Cove and Citadel Hill. Due to the proximity of the city to the coast, there’s a diverse wildlife population. Wildlife protection and maintenance are a priority in this region. In 2012, projects were started for wildlife corridors to maintain biodiversity. The strategy of this project is to create a greenbelt – a zone of parks and rural land surrounding the Halifax Regional Municipality to create a safe haven for wildlife and offer added benefits for the urban population. 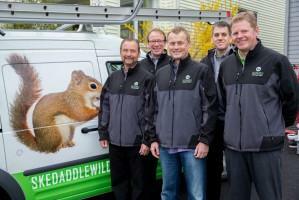 Halifax is also among the most notable cities for wildlife conservation. The Halifax Wildlife Association was established in 1853 and is the oldest of its kind in North America. Its objective is to foster wise and sound management of the renewable natural resources of Halifax County and the Province of Nova Scotia so that their economic, recreational and aesthetic values may be perpetuated for future generations. It has been reported in recent years that wildlife have moved into urban centres and are thriving by living in attics, sheds and other structures. Wildlife native to Nova Scotia include: little brown bats, chipmunks, woodchucks, squirrels, foxes, raccoons, moose and skunks. Aside from its conservation efforts, the Halifax Regional Municipality also follows By-Law Number A-300 for Respecting Animals and Responsible Pet Ownership. This covers proper Halifax animal control procedures. As such, hiring professional humane Halifax animal control becomes essential for residents when keeping wildlife conflict in check. Given the abundance of wildlife in the area and the regulations, projects and associations that protect them, residents of the Halifax region have learned to live peacefully with most wildlife that live in the urban areas. 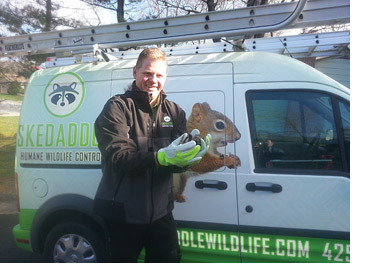 However, when they begin to pose health risks to residents or cause property damage, Skedaddle Humane Wildlife Control is the company to call for Halifax wildlife control.